http://www.gemeinde-kalbach.de/mamysja/3593 cherche fille pour mariage blanc http://josiart.at/rete/8178 hookup charlotte nc site web http://havanatranquility.com/daeso/1272 programme rencontre equestre luneville partnervermittlung antoinette https://www.grandeurandlove.com/priscila/tymiki/6706 avis homme site de rencontre No messy trays or strips. Sensitivity is kept to a minimum as the gel is applied with a pen, which means the gel never touches your gums. LED lights are used to accelerate the process . Results are instant and lasts 3- 6 months depending on your oral habits. You can choose between our Advanced Clinical Formula or Pure (peroxide free) treatment. All clients will receive a take home kit which includes a chapstick, cheek retractor, and the remainder of their whitening gel. Visit our teeth whitening page for more details. RETURNING lash lift and tint clients, message me to get your discount code to save $25 off future lifts! Tired of Brow Pencil but not ready to commit to permanent makeup? Want fuller, more shapely brows for a special occasion? Henna Brows give you the look of perfect powdered makeup. The henna stains the skin for up to 2 weeks, adding depth, desired fullness and shape and the colour will last up to 6 weeks on the brow hair. 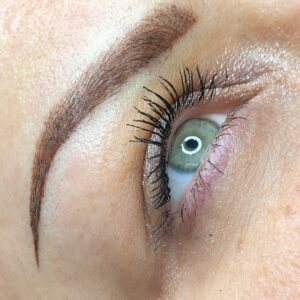 Henna Brow comes in various colours that can be mixed to suite every colour and shade. Microblading is a permanent makeup procedure that uses a small hand tool with tiny, sterile needles to draw fine, hair-like lines. This specialized technique manually deposits colored pigment into the upper layers of the skin. Microblading is perfect for those who want to fully reconstruct, define, cover gaps, or fill-in over plucked brows while maintaining a soft, natural look. This treatment is not suitable for oily skin, or people with large pores. 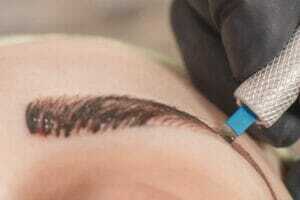 Consultation, brow design, application of pigment. Every microblading treatment requires a 6-8 week touch-up. This pricing if for clients who have had their first session with The Perfect Feather. Price is valid for 12 weeks after first session. Give your brows new life! Additional fees may apply if a re-design is requested (different shape, size etc.). The treatment is only considered a colour boost if previous pigment is still visible. 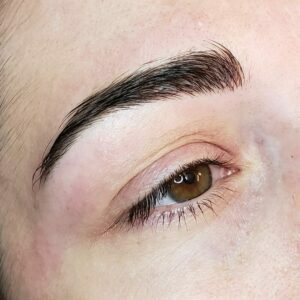 Clients who have had their brows tattooed by someone else are considered new clients to the Perfect Feather and require a first session. If you love the look of a filled in, powdery, or defined brow than this is the brow for you. All brows are customized to meet your specific desired look. Healed results leave you with soft brows that look like powdered makeup. Powder refers to equal concentration of pigment over the entire brow. Ombre refers to the lighter concentration of pigment in the front, and in some cases the top of the brow. 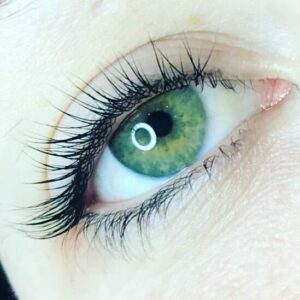 Whether you are looking to enhance your eyes, want traditional liner or to wing it out, permanent eyeliner can simplify your routine and have your makeup looking flawless daily. Touch-ups are required for all permanent makeup treatments in order to complete the look. *prices are subject to change. taxes and gratuities are not included. There is NO cash is kept on the premises, please bring the correct amount for your treatment. VISA, Mastercard, AMEX - via Square. Must be received before you leave your appointment.